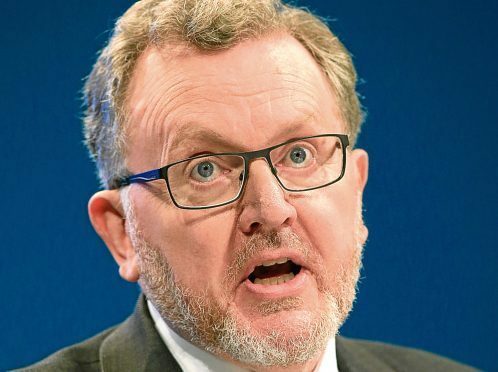 Scottish Secretary David Mundell will today tell Nicola Sturgeon to “open her ears” and “hear what Scotland is actually saying” about Theresa May’s Brexit deal. The Tory frontbencher, who backs the prime minister, will say the SNP leader needs to listen to the views of Scottish businesses. In a speech in London, Mr Mundell is expected to highlight a “recognition” that there are “only two options on the table” and that a “no-deal Brexit would be a disaster for the economy”. He will add: “There is a consistent view that the Withdrawal Agreement provides a workable basis on which to move forward. The comments come after Sir Ian Wood and the Scotch Whisky Association among other organisations voiced their support for Mrs May’s deal. But a Scottish Government source dismissed Mr Mundell’s planned remarks as “dross” and said it would not be dignifying them with a response. SNP MSP Tom Arthur said the UK minister was “so delusional” he was “fast becoming the Comical Ali of Brexit”. The nickname was given to Mohammad Said Sahhaf, who rose to prominence after the 2003 invasion of Iraq as Saddam Hussein’s propaganda chief. Mr Mundell is due to say: “Nicola Sturgeon is very good at telling us all what Scotland thinks. It’s funny how it’s always what she thinks. “But what she really needs to do is open her ears, and hear what Scotland is actually saying. He will also reiterate his assurances to Scottish fishermen that no future deal will link EU access to UK fishing grounds to UK access to EU markets. Mr Arthur said: “David Mundell is so delusional he is fast becoming the Comical Ali of Brexit.